Scandvik's NEW LED Spreader Light is the perfect solution to illuminate your deck or cockpit. 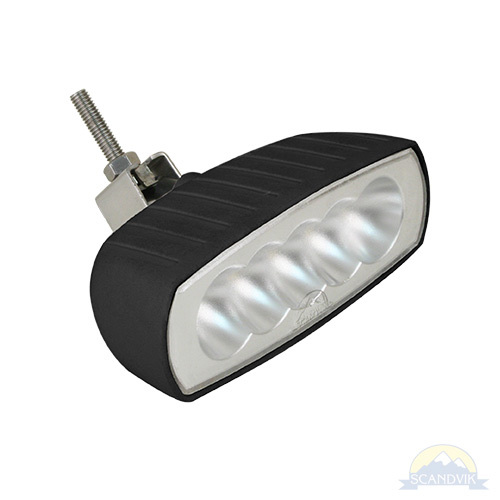 Featuring five, daylight white 3W LEDs providing 900 effective lumen output. A black Zytel® composite housing was designed specifically for the rigors of the marine environment. An adjustable stainless steel bracket mounting solution allows you to aim the light where it is needed most. Guaranteed against corrosion, discoloration and water intrusion. Comparable to a 120 watt Halogen bulb. Three year Manufacturers Warranty.